Apple and Qualcomm are engaged in a long and epic legal battle. As per the FTC’s antitrust suit against Qualcomm, Apple actually wanted to use Qualcomm chips across its 2018 iPhone lineup. But Apple hasn’t used Qualcomm chips since the iPhone 7. Further, It was widely assumed that Apple refused to work with the chipmaker. However, It turned out to be the other way around. 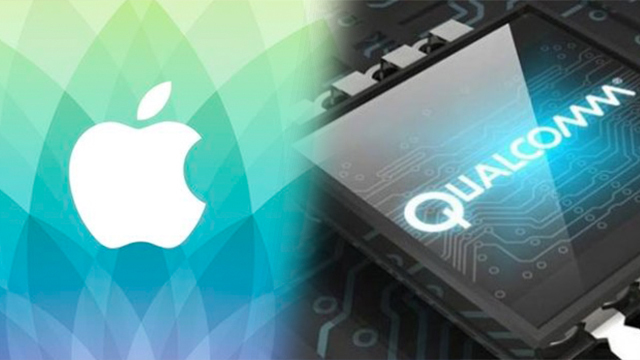 The quarrel between Apple and Qualcomm started two years back when smartphone manufacturer filed its lawsuit against the chipmaker for $1 billion in 2017. However, The FTC filed an official complaint about Qualcomm using anti-competitive practices before Apple. It was just the starting, the Apple vs Qualcomm battle turned out to be very long. Qualcomm Refused To Sell Modems Because Of The Companies’ Licensing Dispute, Apple COO said. The testimony from Apple COO Jeff Williams via CNET, Apple wanted to use both Qualcomm and Intel modems in its iPhone. “The strategy was to dual source in 2018 as well,” Williams further adds. Apple has its own application processor. But it relies on third-party chips for network connectivity. Qualcomm was the sole supplier in the iPhone 2011 to 2015 i.e. iPhone 4/4S to iPhone 6/6S. Later, Apple started using Intel modems in models like iPhone 7 and 7 Plus. However, It continued using Qualcomm in versions for Verizon and Sprint till 2017. It was not the same in iPhone XS, XS Max, and XR, though. The latest phones used Intel 4G chips only. Furthermore, Apple vs Qualcomm battle hints that future iPhones will come with Intel modems only. But it will continue to use Qualcomm chipsets in older devices. The Apple’s own cellular modems remain to be seen, it may take a few years. Qualcomm denies the FTC statement, Qualcomm engages in anti-competitive behavior to keep other chipmakers from supplying to Apple. The trial is expected to end sometime this week but we can expect it to stretch further.